Happy Earth Day! 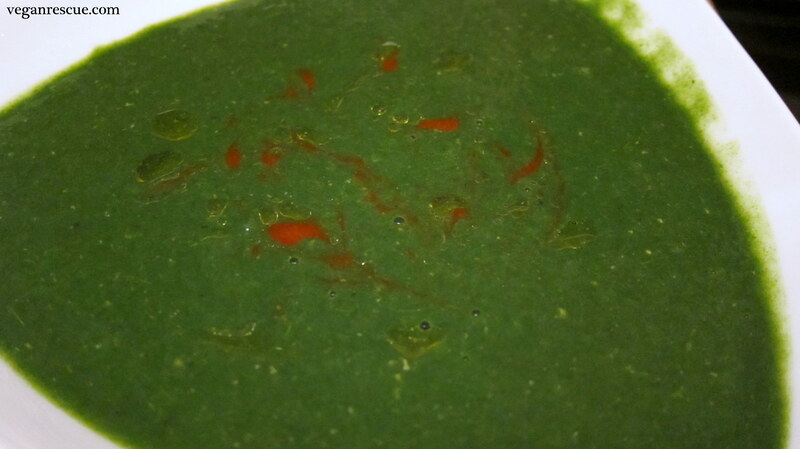 – This is an older recipe of mine, but with Earth Day today plus today is “S” for the A-Z Blog Challenge so I was thinking Green and thought of this Spinach Soup. There are various reasons for adopting a Vegan lifestyle. Helping to save the planet, I’ll say is a pretty good reason. On Twitter today (Earth Day) I posted a quote. I wanted to share some great Native American wisdom. “Only when the last tree has died and the last river has been poisoned and the last fish been caught will we realize we cannot eat money” –Cree Indian Proverb. Think about it. -While the potatoes are boiling, I steam the Spinach. -Blend all ingredients together. Garnish with Olive Oil and Sriracha. Enjoy!